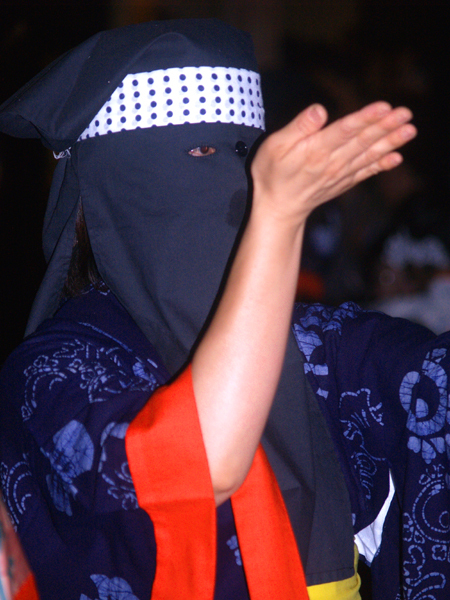 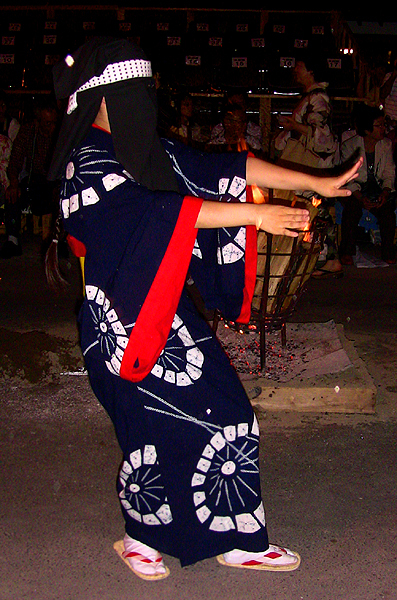 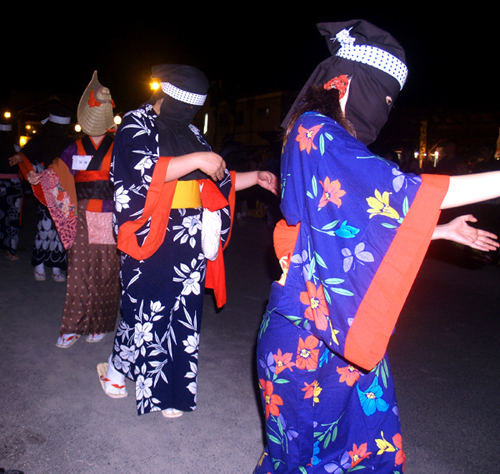 is the time of year when many Japanese pay their respects to ancestral spirits. 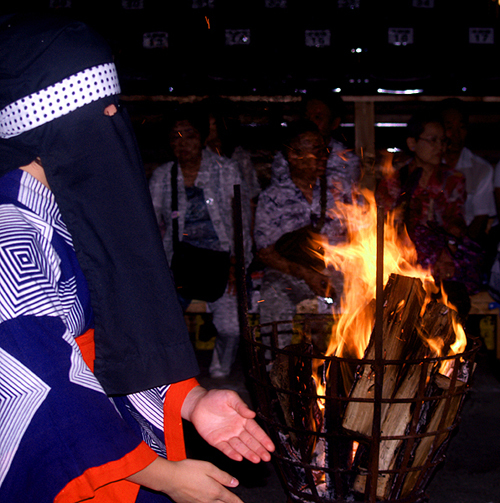 People will travel to their hometowns in order to pray at their ancestors' graves. 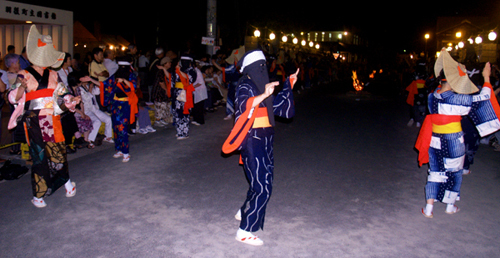 It's believed the spirits of the departed return during the 3-day holiday held in mid-August. 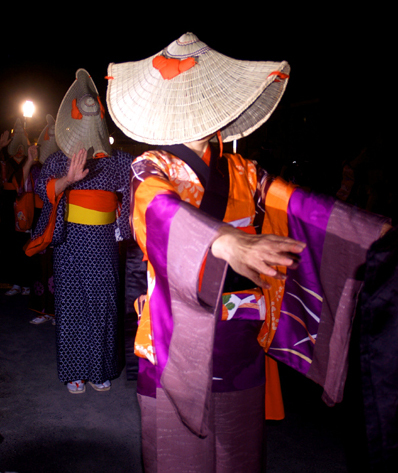 These returning spirits are not to be feared like the ones that come with Halloween. 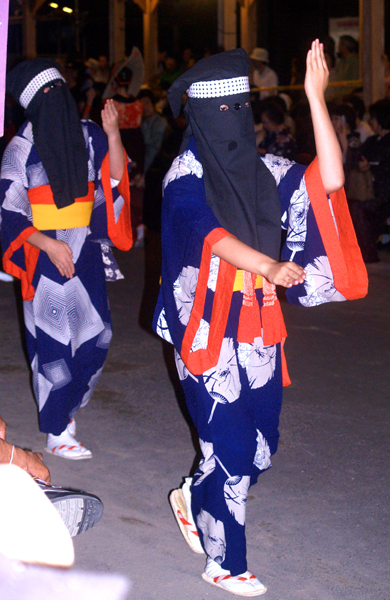 In fact, they are welcomed and many communities put on a variety of celebrations. 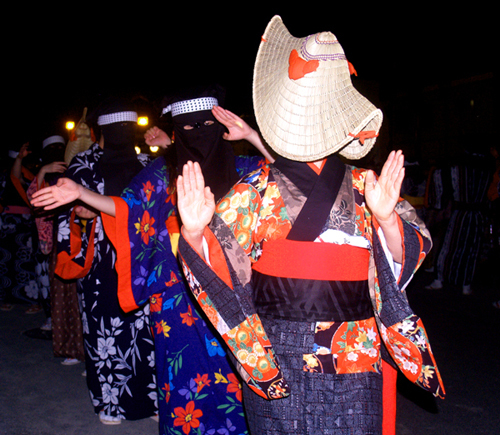 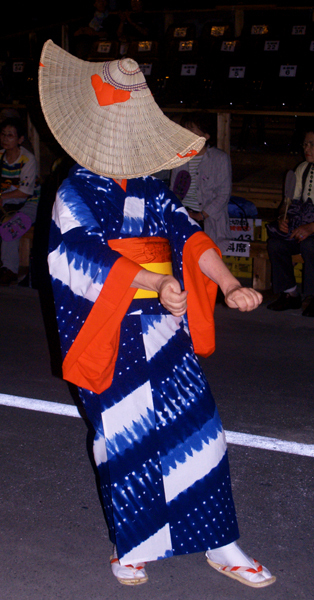 The dancers' faces are obscured by the hoods and straw hats giving the dance a surreal quality. 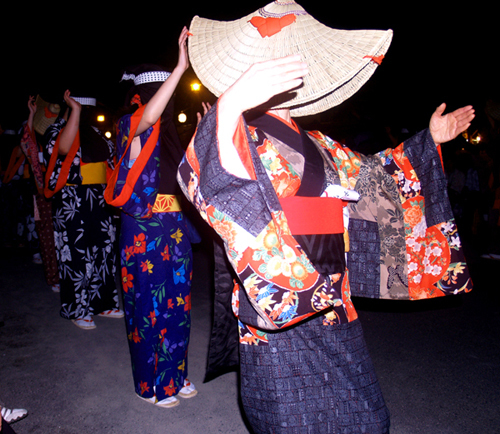 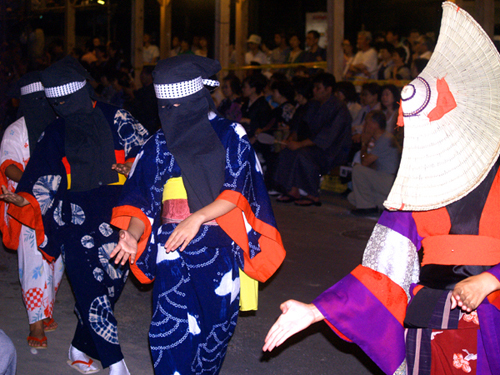 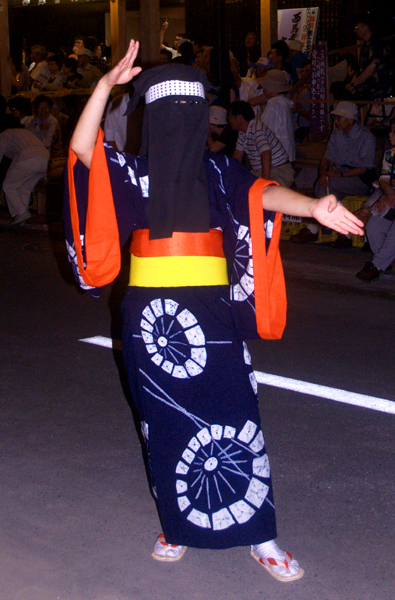 The Nishimonai Bon Odori takes place just after the traditional dates for Obon from August 16-18, the big day being the 18th where the dance for several hours in the evening.